If you you’ve been doing everything “they” say to book the part but not getting the results that you want – it’s time to start playing by your own rules. Casting Wants to See You! You became an actor because YOU have something to say, something to share, or something to add to this industry. Where are YOU when you are saying someone else’s words, doing someone’s else’s actions, and guessing how someone else wants you to play the role? Casting doesn’t want you to prove you can fit the part. Casting wants to SEE YOU in the role. When you Quit Acting, you stop trying to be just another actor hoping you are good enough or lucky enough to book the part, and show them what makes you the ONLY ONE right for the role. Don’t Fit The Role? Make Any Role Fit You! Everyone gets the same sides, the same material, and often have the same general look. The only thing different you can bring to the role is YOU. When you make YOU the core of your character you not only always remain present in the moment, you create characters more complex and authentic; elevating even the smallest roles to a new level. Most importantly, when you stop being just another actor fighting to fit the part … Casting directors start fighting for you! Having Trouble With Your Monologues? You’re Not Alone! Don’t “blah blah blah” away your big break! The Quit Acting Monologue Intensives will show you how to use your material to showcase your range and illuminate your unique style while still maintaining the integrity of the material. 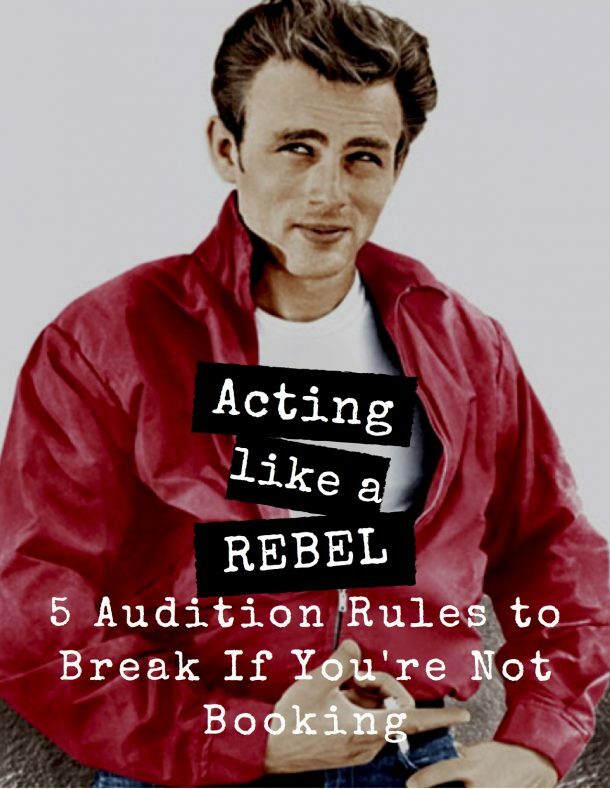 More importantly you will learn how to adapt your GO-TO pieces to fit any audition situation. QA can also help with musical theater auditions! Learn to put the story into the song and add your “voice” to the dance! Gain the competitive edge with your vocal/dance/ or athletic performance by adding what is UNIQUELY YOU while still hitting those high notes, staying in step, and landing those jumps. Need help losing competition nerves? 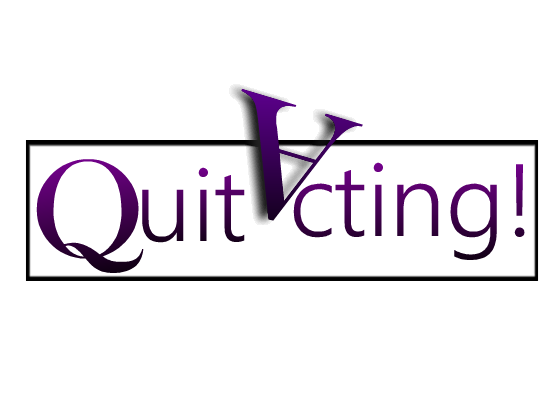 A Quit Acting HYPNOSIS SESSION can help! At QA, young actors are never given a “line read” to solve a problem. The QA approach allows even the youngest actors* to trust their instincts and be willing to show their individual style without fear. They too, create their own process in breaking down a script as well as learn how to achieve and release needed emotions comfortably. Because the techniques are individually created, they naturally change as your child changes, making the often difficult transition from child to teen, and teen to young adult actor as seamless as possible. When it comes to true creativity there is no place for competition. I passionately believe children and teens need to claim their rightful place in this industry while feeling safe, empowered, and most importantly free to be exactly who they are. However, not everyone needs, wants, or is ready to quit acting. This is as much true for some students as it is for their parents. This isn’t the easiest industry to be a part of and venting can be a healthy way to release frustration. However, here at Quit Acting –bashing the industry, casting directors, your child’s representation, or other actors is strictly prohibited. QAW is a “ZipZapZop” free zone. *The average minimum age for PRIVATE LESSONS and AUDITION COACHING is 6 years old. Exceptions are made on an individual basis. Have a littler one? Let me TEACH YOU some at-home skills strengthening exercises unique to your child and how to make audition prep stress -free!. Laura Lasky cHt (Acting Coach and Certified Hypnotherapist SPECIALIZES in helping actors with Dyslexia and other learning disabilities. The TRUTH IS NOBODY SEES, THINKS OR PERCEIVES THE WORLD IN THE SAME WAY! NOBODY! The "label" just means you process and perceive the world in a not so typical boring "normal" way. Which BTW, makes you better equipped as an actor. (No offense boring "normals.") Laura Lasky cHt will tailor your acting process to your unique learning style and offers techniques to help each actor over-come the "industry" challenges. Tom Cruise. Robin Williams. Keira Knightly. Robert Downey Jr., and so many more... These actors didn't listen when told they couldn't be actors because of learning differences and neither should you! CONTACT ME to learn more about help with ADD/ADHD, ASD DYSLEXIA, PROCESSING and SENSORY PERCEPTION, and other learning DIFFERENCES! Unfortunately, due to inconsistent and on- going construction in and around my building, I am no longer able to guarantee in-house taping. YOU ARE WELCOME TO USE YOUR OWN SELF-TAPING EQUIPMENT in person or on-line. Students also have access to my sides/scripts data base for use for customizing material for reels. From the pre-read to post production you always have support. Prices outside the scope of regular coaching are determined by individual project variables. * For returning students only unless predetermined. All overages Pro-rated in 15 minute intervals. Although not required, it is recommended that all clients complete "The Actor's Cheat Sheet" to fully benefit from any QA coaching session. 24 hr Cancellation unless audition is cancelled.